Blend all of the sauce ingredients in a blender until smooth. Set aside. Line the bottom of a 4 quart slow cooker with the onion rings. 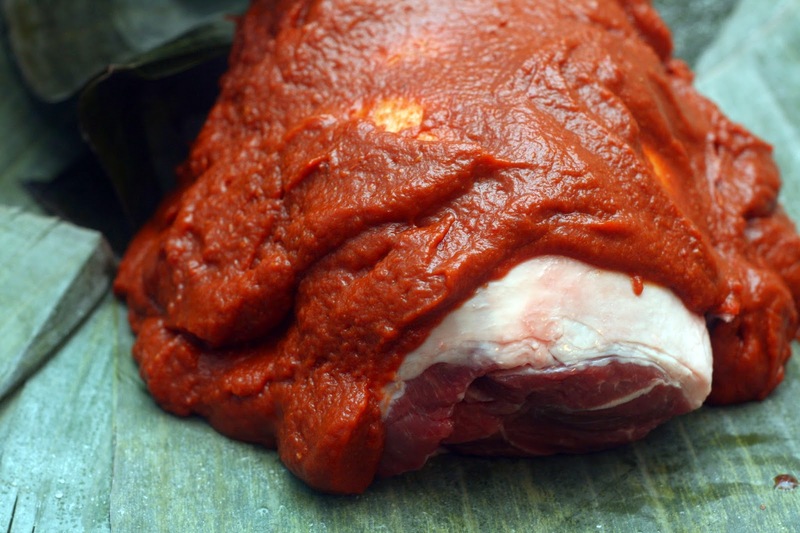 Place the lamb in the middle of the banana leaves. Pour the sauce over the lamb, turning to coat. Wrap the leaves around the lamb to form a package. Place on the onion rings. Cover and cook on high 6 hours. Remove the lamb from the slow cooker and cube it. 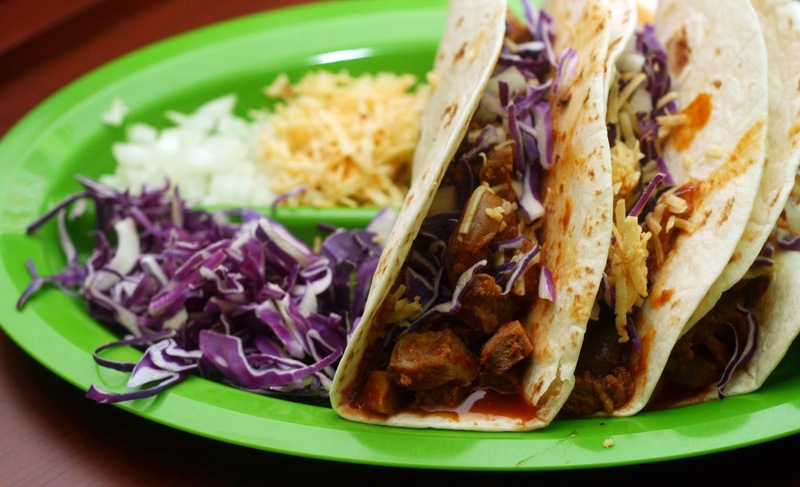 Divide among tortillas and top with desired toppings. *I buy these frozen and defrost them overnight in the refrigerator. The American Lamb Board asked if I'd be willing do create a new recipe using lamb, I was happy to do so! I like lamb but rarely cook with it, it can be tricky to find. I thought I'd make tacos but with a fall-twist; the secret ingredient is acorn squash! It it added a subtle flavor and helped to temper the heat from the peppers. 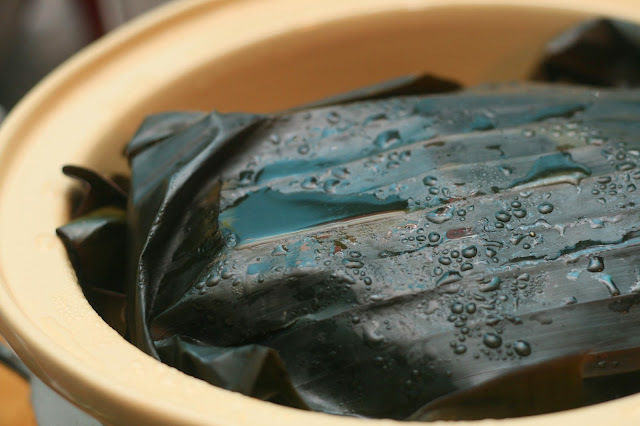 I've always wanted to cook something in banana leaves so when I saw them frozen at the grocery store, I picked them up. Cooking meat for tacos (in a pit!) is a traditional way in Mexico so I tweaked it to work in the slow cooker. It worked well, the meat stayed very moist. It really is a great recipe for someone who perhaps has never tried to cook with lamb before; simple yet yielding delish results.